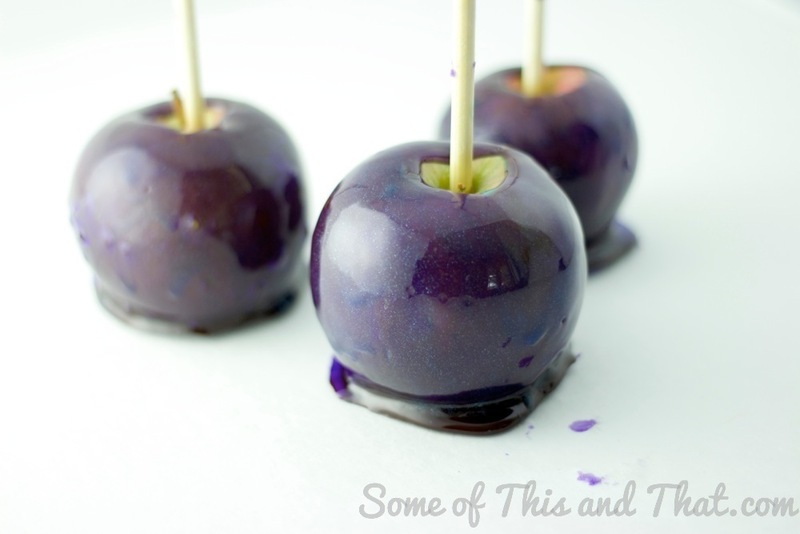 I have been on a candy apple kick lately, earlier today I posted how to make candy apples, but of course, I could not just stop at that. 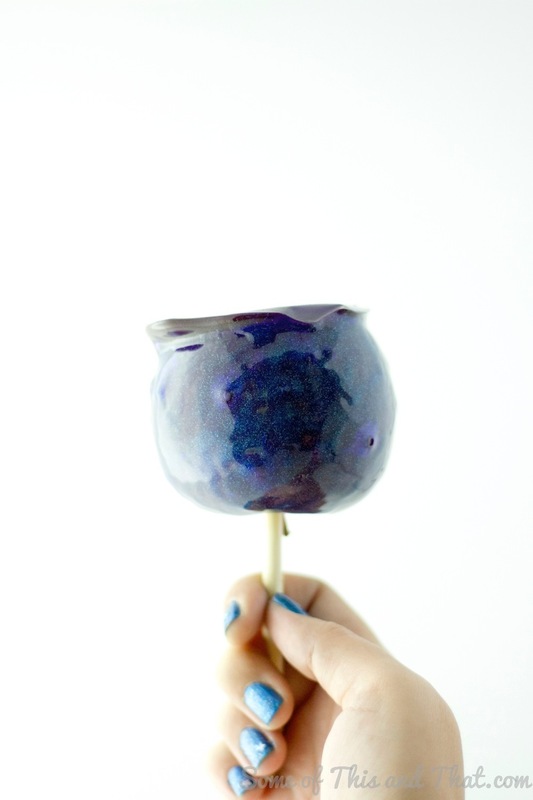 There has been a lot of chatter on the interwebs about a pin on Pinterest for DIY Galaxy Candy Apples, and I knew that I had to try them! First off, I did some research and ThreadBangers did a Man vs. Pin on this particular pin, and a long story short, they did not work as described. They got the desired look, but only by using inedible glitter. Well, I have a glitter intolerance, so that was not going to work for me! I wanted to figure out HOW to make them with edible glitter! After some trial and error, I figured it out! 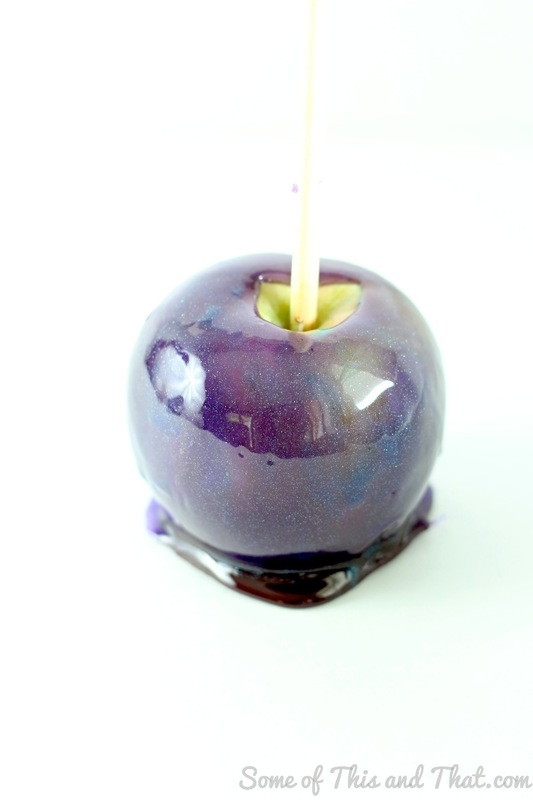 If you have never made candy apples, be sure to watch my how to here first to get the basics down. Then keep scrolling down to see how I was able to obtain this look that is both pretty and yummy! As always, if you decide to try out any of our Halloween How – To’s be sure to post and tag us on Instagram, Facebook, and Twitter! We love seeing your projects! If you are not already, be sure to subscribe to our YouTube channel! We do things there that are not always posted on the blog! 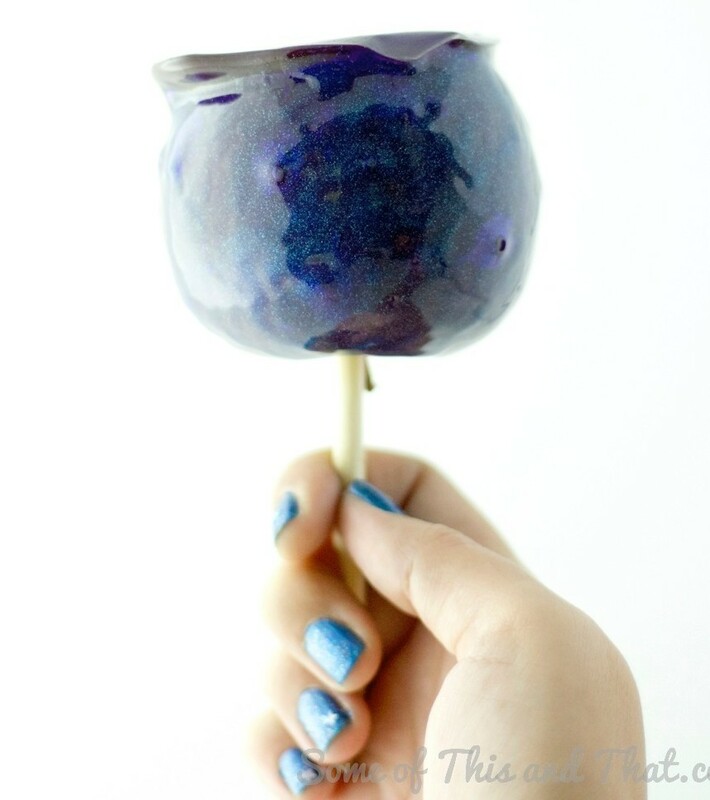 Don’t need a galaxy theme candy apple? Change the color you use to create a completely customized treat for any party! They would look great in your favorite team colors! Or add an edible unicorn horn for a fun unicorn party! 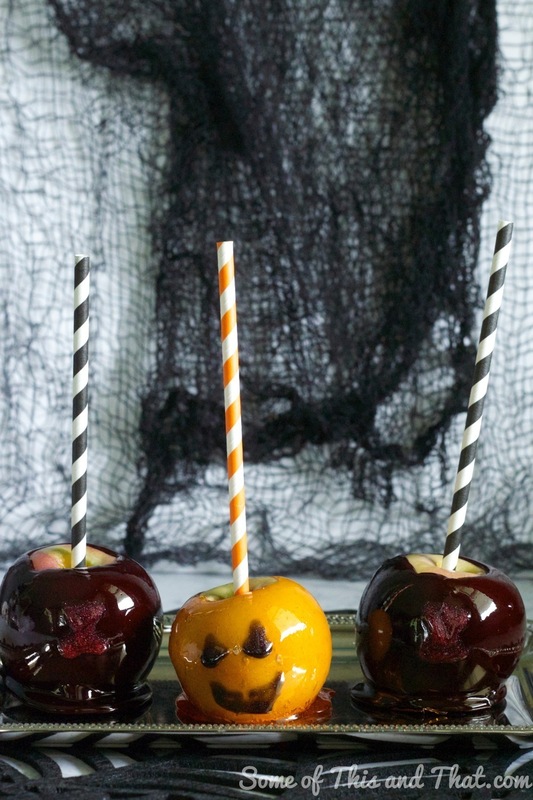 Learn how to make these awesome Halloween Candy Apples Here! That looks very cool! Perfect for Halloween! Love the idea of using edible glitter! I am such a space junkie so I absolutely love this idea! That looks lie so much fun. The glitter is so festive! This would be really fun to do with the kids! Thanks for sharing. Glitter definitely makes everything more fun! Thanks for sharing at Wednesday Whatsits link party! Hi Jamie. I just had to stop by from the Inspiration Spotlight link party and check out your Galaxy Candy Apples. They’re so interesting and pretty, great job and video tutorial! The glitter makes it so pretty! Yes, you can use any color. I use Wilton brand food coloring and have never had any after taste issues.